Ford Performance Driver Side Oil-Air Separator Kit for all 2015, 2016 and 2017 Shelby GT350 and GT350R Mustangs. Any owner of a 2015-2017 Shelby GT350 or GT350R Mustang is going to do all that it takes to preserve the life of that 5.2L voodoo engine. 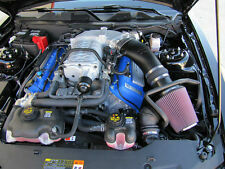 10-14 Mustang Shelby GT500 5.4 5.8 SVT S197 cold air intake kit. Excellent upgrade over stock assembly. K&N filter is nice and clean. Approximately 10,000 miles on this. Discontinued by Ford. This kit was standard on the 2007-2008 Shelby GT and GTH. Fits 2005-2009 Mustang GT with Manual or Automatic transmission. 1966 - 1968 SHELBY GT350. 66-68 SHELBY GT350 & 65-73 MUSTANG V8 LARGE LETTER. 66-68 SHELBY GT350 COBRA INTAKE LOOK. LARGE LETTER COBRA ALUMINUM 1X4 HIGH-RISE. SHELBY GT350 & 65-73 MUSTANG V8 COBRA NATURAL. 1966 - 1968 SHELBY GT350. (1965 SHELBY GT350's ran a S1MS 1X4 HIGH-RISE / SMALL COBRA LETTER INTAKE MANIFOLD). THIS NEW-REPRO. : 66-68 SHELBY GT350 COBRA 1X4 HIGH-RISE INTAKE MANIFOLD PICTURED. IS the NEW-REPRO. : 66-68 SHELBY GT350 COBRA 1X4 INTAKE MANIFOLD you WILL RECEIVE. K&N FIPK 57 Series Cold Air Intake for a2010-2014 Ford MUSTANG SHELBY GT500 (5.4L or 5.8L). K&N intakes are designed to dramatically reduce intake restriction as they smooth and straighten air flow. This manifold is produced (on average) once a year, so get them while you can. A few more important things: The intake ports on this manifold are designed to fit right on a 302 cylinder head, and run! GT350 5.2l Coyote Intake Manifold. 2015-2017 GT350 87mm Throttle Body. 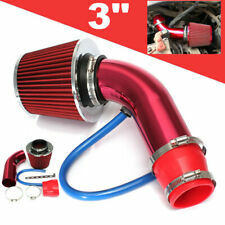 This is an intake kit for 2015-2017 Mustang GT 5.0. 2015-2017 Mustang 5.0l Cold Air Intake. This intake will increase power all the way up to 7500rpm. AUTHORIZED JLT DEALER. A JLT specific tune is required with this kit. •JLT Plastic Intake Tube. 60-90 RWHP is typical with this kit and our custom tune. This puts most GT500’s at 495-515 HP at the rear tires. Numbers 12/75 are on the bottom runner, I’ve been told that this is a date marking put on by the foundry that cast the manifold. Though I’m not exactly sure this piece looks to be 35-50 years old (44 years old if the date marking on the manifold is correct)! Used OEM Factory Ford 2012 Shelby GT500 air intake housing removed from vehicle at 6k miles and left in storage since. What you see in the picture is what you will receive. Final sale. Original 67 Shelby intake manifold removed from a car over 40 years ago and been sitting up since. Untested but In very great shape. Haven’t cleaned it up or wiped it down since it’s been sitting up. Comes exactly as shown in photos. Ask any questions before purchasing Free US shipping!! The best part of this new JLT Big Air is we kicked the cool factor up a notch and molded a 123mm MAF housing right in the tube. This not only look great, but the smooth inside makes air flow nice and smooth. Shelby GT350 Aftermarket Intake Manifold. 289/302 Intake Manifold. The best part of this JLT Big Air is we kicked the cool factor up a notch and molded a 123mm MAF housing right in the tube. A JLT specific tune is required with this kit. •JLT Intake Tube with optional finishes (Black Textured, Painted Body Color, HydroCarbon or Custom Hydrographics). A JLT specific tune is required with this kit. •JLT Plastic Intake Tube. JLT Pre-Filters are now available for most intake kits we carry, these filters are made for us by Outerwears, these prefilters are water repellent. Our intake tube is made of Roto molded plastic. A full 5.5" at the throttle body to mate up with the huge KB twin 75mm throttle body and 6" at the filter. The best part of this JLT SUPER Big Air is the MASSIVE148mm MAF housing molded right in the tube. 2007-2009 MUSTANG SVT 113 MM COLD AIR KIT. Fits 2007-2009 SVT Mustang. Kit includes 113 mm Mass Air Sensor Housing. JLT BIG Air Intake Kit. A JLT specific tune is required with this kit. •JLT Intake Tube with optional finishes (Black Textured, Painted Body Color, HydroCarbon or Custom Hydrographics). JLT Pre-Filters are now available for most intake kits we carry, these filters are made for us by Outerwears, these prefilters are water repellent. 1968 SHELBY GT350. INTAKE MANIFOLD: 68 MUSTANG & SHELBY GT350. 302 V8 ENGINE 4bbl CAST IRON. 302 V8 4bbl CAST IRON INTAKE MANIFOLD. THIS ORIG. FORD - 68 MUSTANG & SHELBY GT350 3902. GT350 302 V8 4bbl CAST IRON INTAKE MANIFOLD. 2010-2014 Mustang Shelby GT500. Product Style AIRAID Universal Cone Filter. Easy to clean oil-free synthetic air filter. Air Filter Shape Round Tapered. Air Filter Color Blue. Filter Material Non-woven Synthetic. 2.2l Turbo Air Intake 80's Chrysler 2.2l Engine. Condition is Used. Piece is in good shape. There is a hole in the bottom plastic piece of the filter box. Little fiberglass patch would fix it right up. Other than that the piece came off of a 1987 dodge shelby charger but this piece will fit any 80's chrysler vehicle with the 2.2l turbo charged engine. Piece will be lightly cleaned before shipping. Thanks for looking and happy bidding! A JLT specific tune is required with this kit. •JLT Plastic Intake Tube. Standard finish is an OEM looking black textured plastic. INTAKE TUBE WITH MOLDED IN MAF. AIR FILTER. We use only the best air filters made by S&B to our specifications. 2010-2014 Mustang Shelby GT500. Product Style AIRAID Universal Cone Filter. Easy to clean oil-free red synthetic air filter. 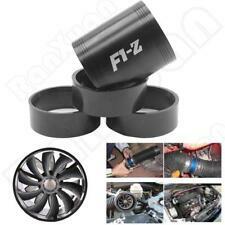 Air Filter Shape Round Tapered. Air Filter Color Red. Filter Material Non-woven Synthetic. JLT Induction Kit (2010-14 GT500). No tuning required. Just ask! FINISH OPTIONS. • Silicone Couplers. 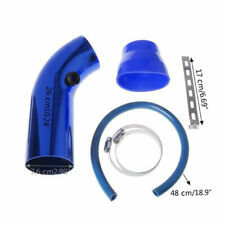 • Plastic Intake Tube with PCV fitting & Vacuum Line Fitting. Never installed. Complete as shown. This is a used 07-09 gt500 shelby air intake box. good used shape. The best part of this new JLT SUPER Big Air is the MASSIVE148mm MAF housing molded right in the tube. This not only look great, but the smooth inside makes air flow nice and smooth. 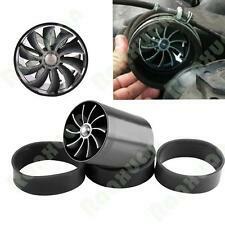 •JLT Intake Tube with optional finishes (Black Textured, Painted Body Color, HydroCarbon or Custom Hydrographics). Newest 3.0 design. ALL NEW JLT 3.0 Oil Separator. New JLT catch can 3012P-C. NEW JLT parts. 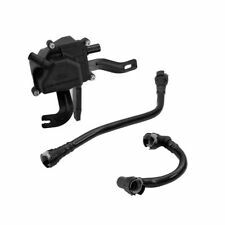 This kit is specific for the 2007-2014 Mustang GT500 passenger side. The best part of this new JLT SUPER Big Air is the MASSIVE148mm MAF housing molded right in the tube. This not only look great, but the smooth inside makes air flow nice and smooth. •JLT Textured plastic or Body Color Intake Tube. 2010-2014 Mustang Shelby GT500. Product Style AIRAID Universal Cone Filter. Air Filter Color Red. Air Filter Shape Round Tapered. Filter Material Cotton Gauze & Non-Woven Synthetic. Filter Re-Oiling Amount 1.93 oz (57 ml). The majority of JLT intake kits include a rotational molded plastic intake tube and are available in a black textured finish, smooth painted (factory paint colors), or HydroCarbon (hydrographics finish that looks like carbon fiber). JLT 3012P-B and JLT 3012D-B. They are the newest 3.0 design. NEW JLT parts. JLT INDUCTION KIT (2010-14 GT500). 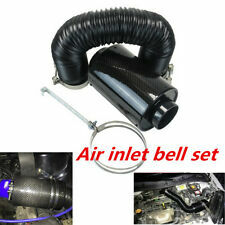 JLT Induction Kit for 2010-14 GT500 in black textured plastic. Manufactured by: JLT Performance. • Plastic Intake Tube with PCV fitting & Vacuum Line Fitting. No tuning required. Fits Ford Mustang Shelby GT500 2010-2014 5.4/5.8L K&N 57 Series Performance Cold Air Intake System. K&N intake systems are designed to help reduce the restriction of air flow to your engine which then allows your engine to take in a larger amount of air that is currently being restricted by the factory air filter system. All new Plastic intake tube. A full 5.5 at the throttle body to mate up with the huge KB twin 75mm throttle body and 6 at the filter. The best part of this new JLT SUPER Big Air is the MASSIVE 148mm MAF housing molded right in the tube. The Typhoon air intake system is a free-flowing, mandrel-bent aluminum tube air induction system designed to fit specific Ford Mustang Shelby models. The restrictive factory air filter and air intake housing are replaced by the Typhoon air intake which is designed to dramatically reduce air flow restriction as it smoothes and straightens air flow. Newest 3.0 design. ALL NEW JLT 3.0 Oil Separator. JLT 3012P-B. NEW JLT parts. This kit is specific for the 2007-2014 Mustang GT500 passenger side. Housed inside the air box is an AIRAID premium air filter for outstanding air flow and filtration. Many MXP Air Intake Systems have a built-in velocity stack, which further promotes airflow. Just bolt it on and go! Manufacturer: AIRAID. Length: 9in. Top: 5.01in. Base: 7.42in. These filters are washable and reusable and are custom designed to fit into your existing factory air box. With most vehicles you simply remove the disposable air filter and replace it with a K&N. MPN Number: E-1993.